Harmony In Action shared an album. Harmony In Action shared a photo. Very honoured to be a recipient of this event again this year! Thank you to Jeff Burrows and Liuna for allowing us to be a part of it. If you wish to purchase tickets or would like to donate a $25.00 gift card please feel free to contact the office at 519-252-1207! Thank you!Here's our friend Jeff Burrows killing it on the drums last Thursday when The Tea Party brought their highly anticipated Black River Tour to hometown fans. And our friend Dan Boshart ( 27th Floor Photography ) shot this amazing photo for us! We'll be posting a full review soon. 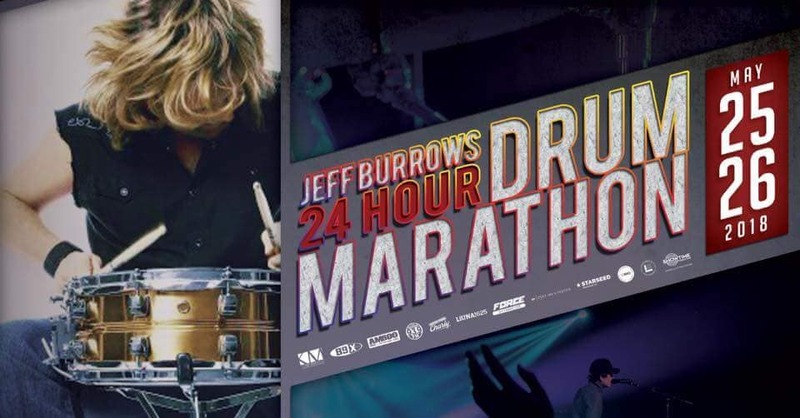 And once Jeff is done touring there's no stopping him because on May 24 & 25 he'll be holding his 24 Hour Drum Marathon at Good Time Charly all in support of local charities! Joining Jeff will be a long list of local bands. Don't miss it!